The rock slide on US 129 is located between the Dragon and Happy Valley Road/Foothills Parkway. 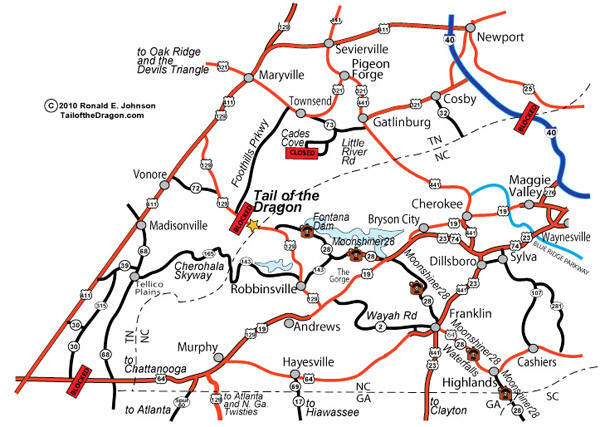 TDOT has announced in a press release that the 11 mile section known as the Tail of the Dragon will be open from 8 am to 8 pm beginning Monday April 12, 2010. The only access is from North Carolina US 129. THP announced that there will be zero tolerance for traffic violations, so travel the Tail with extreme caution. Please obey the traffic laws and report any undue harassment to the Tennessee and North Carolina senators and representatives who worked so hard to get the road open. The only alternatives from 8 pm to 8 am are the Cherohala Skyway and US 441 through the Great Smoky Mountains. There are many great roads in North Carolina and the Cherohala Skyway is clean. Click on map for larger view! 2011 Corvette Z06 Carbon To Be Auctioned! The first of 500 retail 2011 Corvette Z06 Carbon Limited Edition coupes will go to the highest bidder at Barrett-Jackson in Palm Beach, Fla., on April 3The winning bidder will also be given the unique opportunity to tour GM’s Performance Build Center in Wixom, Mich., home of the hand-built LS7 and LS9 engines found in the Z06 and ZR1 respectively. The winner will also have the opportunity to watch the car going down the line at the famed Corvette Assembly Plant in Bowling Green, Ky. The Corvette Z06 Carbon was designed as a tribute to the 50th anniversary of Corvette’s first race in the 24 Hours of LeMans. As such, it continues the technology transfer between the production Corvette and racing. Notable features of the Z06 Carbon include Brembo carbon ceramic brakes, Michelin PS2 tires, Magnetic Ride Control and enhanced cooling. Black headlamps and mirrors, a ZR1-style body color spoiler, body color door handles, carbon fiber raised hood, and black carbon fiber rockers and splitter enhance the Z06’s dynamic design and reduce mass and aerodynamic lift. This auction continues Chevrolet’s tradition of offering exciting cars at Barrett-Jackson. 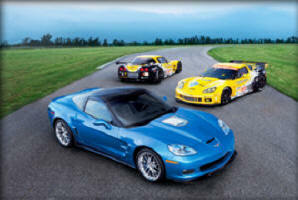 At the Scottsdale, Ariz., auction in 2008, the first retail production 2009 Corvette ZR1 sold for $1,000,000. The first retail 2010 Chevrolet Camaro was also sold for $350,000 at a Barrett-Jackson auction last year. Most recently, a limited edition Corvette Z06 (number 427 of 427 produced) garnered $200,000, all of which was donated to the Red Cross relief efforts in Haiti. Taking track-to-street technology to a new level ! The ALMS' Petit Le Mans race on September 28, 2009 was the first true endurance test for Corvette Racing's new class participation in GT2. Click here to read Matt Parker's Corvette Racing Report on this race. GENEVA -- For the first time, General Motors Co. studios across the world have submitted design studies for the next-generation Chevrolet Corvette. Late last year, Ed Welburn, GM's vice president of global design, invited GM's 10 styling studios to submit design proposals. Some "were absolutely phenomenal," Welburn said. "There is a lot to pick from. The direction that we take is very important, and the decision has not been made." Global input on the Corvette's design is one of several steps GM is taking to attract buyers in Europe, where the car has little appeal, and young U.S. buyers who favor imports. "We have challenges in the States with the Corvette," Welburn said in an interview at the Geneva auto show. "The average age of the customer is really rising." The current average age of a Corvette buyer is 54, according to the Power Information Network, a unit of J.D. Power and Associates. Corvette sales are in a tailspin. Last year 13,934 were sold in the United States, down 48 percent from 2008. The current Corvette debuted in the 2005 model year. 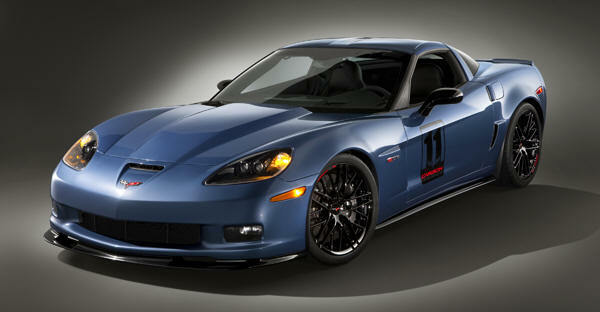 Prices range from $49,880 for the base coupe to $107,830 for the ZR-1. Both prices include shipping. A redesign is due in two to three years, industry sources say. Corvette critics often cite the sports car's size, saying it looks big. They also point to what they say is a cheap-looking interior. Welburn admitted the interior has a problem: "The execution, materials selection -- it's got to be a much better interior. Our customers desire that." Welburn said today's Corvette is about the same size as the Porsche 911, but the styling makes it look bigger. "We have to develop a design that feels trimmer, meaner, to go along with the incredible performance that the car has," he said. In addition to styling, content, pricing and marketing strategy are under discussion, he said. "It is a key time in the development of the Corvette," Welburn said. "There is a lot of debate and a lot of study on the bandwidth of Corvette." But, he added, "It can't mutate into something that gets so far away from Corvette that it is no longer a Corvette." New Corvette Racing C6.R and Production Corvette ZR1 Represent the Culmination of More Than 10 Years of Technology Transfer. 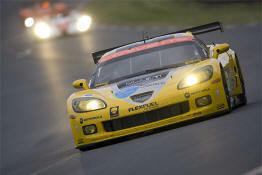 Updated C6.R to Race in 2010 Le Mans, 50 Years After Corvette’s First Appearance in Legendary Endurance Race. Corvette Racing’s second-generation C6.R will be powered by a new 5.5L production-based V-8, to compete in the new unified GT class in the 2010 American Le Mans Series as well as the GT2 class at the 24 Hours of Le Mans. The updated C6.R and the Corvette ZR1 on which it’s based represent the strongest link yet between a production Corvette and the modern Corvette Racing team. Both cars are well-equipped to compete on and off the track with showroom competitors including Aston Martins, BMWs, Porsches and Ferraris. “Simply put, without Corvette Racing, there would not be a Corvette Z06, much less the ZR1. And, without the foundation of the Corvette C6, Z06 and ZR1, the Corvette Racing team would not be the dominant presence in production-based racing.” CLICK HERE FOR THE REST OF THE STORY! General Motors Vice Chairman Robert A. Lutz will retire effective May 1, 2010, capping a 47-year career in the global auto industry that included senior leadership positions at four of the world’s leading automakers. Lutz said he decided to retire now in part because hot-selling vehicles like the Buick LaCrosse, Cadillac SRX, GMC Terrain, Chevrolet Equinox and Chevrolet Camaro, along with the growing strength of GM’s four brands, prove that a product-focused mindset inside the company is in place for the long term. Lutz, a GM vice chairman, was appointed senior advisor in December 2009 and will continue to provide guidance on design and key product initiatives until he retires May 1. WE NEED THESE NEW SAFETY MIRRORS! 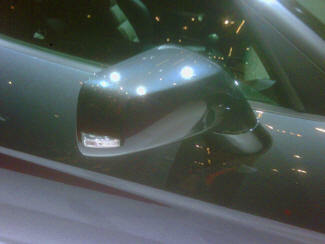 Members - Check out this ZR1 mirror with a built-in turn signal that is being sold on all European-bound Corvettes. This mirror was designed to meet requirements that turn signals on automobiles sold outside of North America must be visible from every angle. We at the Registry believe this safety feature is well worth letting GM Corvette Management know that these European styled turn signal mirrors should be placed on all Corvette models built for North America. If enough of us let them know that this is important to us, we believe that Corvette Management will certainly consider it. The best way to let them know is to go to the Bowling Green Assembly Plant site where they have a "Contact Us" link on their web site. So click here to go to the plant website, then click on "CONTACT US" and scroll down and select, the "Customer Vehicle" category, and let them know you want this safety feature on your 2011 Corvette! During the Chevrolet press conference at the 80th Geneva International Motor Show, GM vice chairman Bob Lutz announced that the legendary Corvette sports car will continue to be available to European customers and more fully integrated into Chevrolet's European line-up. "Our sales network will include select Chevrolet Europe retailers in addition to some of the current Corvette distributors, many of whom have been doing a fantastic job creating and serving a loyal and enthusiastic customer base," said Lutz. The Chevrolet Corvette has been built and sold longer than any other sports car. Ever since its market introduction in 1953, the legendary American icon has been a dream car for generations of enthusiasts. 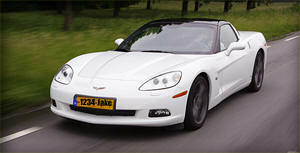 In 2005, Chevrolet introduced the sixth-generation Corvette. In the following years, high performance versions, like the Corvette Z06 and the Corvette ZR1, were added to the line-up. Today, visitors of the Geneva motor show will find the new Corvette Grand Sport, another nameplate with great history, on the Chevrolet stand in hall 2. "We are very proud to be responsible for the most iconic Chevrolet of all," said Wayne Brannon, Chevrolet Europe's president and managing director. "Like customers everywhere else in the world, European car buyers will see the Corvette lined-up alongside the rest of the Chevrolet range." 2011 CORVETTE TO ADD TWO NEW COLORS! Members – Breaking News….All indications are that Corvette will be adding TWO new colors for the 2011 Corvette lineup. Super Sonic Blue is a brand new color not currently available, that we are aware of, on other GM models. The second color will be Inferno Orange (28U), which is currently one of the 2010 Camaro colors. No credible information is available on any interior or Convertible top color changes, but we will keep you posted. 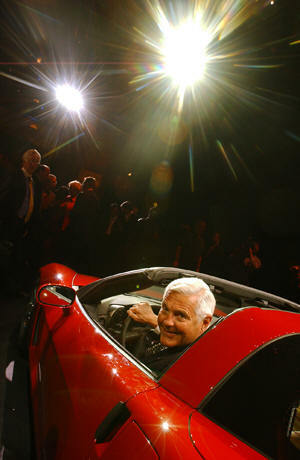 Former U.S. Army Vice Chief of Staff General Richard Cody is now in possession of his 10th Chevy Corvette, but instead of driving the 2010 Torch Red Grand Sport Convertible off a dealership lot, he recently picked it up at the National Corvette Museum in Bowling Green, Ky. The idea to watch his car being built came to Cody from GM Vice Chairman Bob Lutz, who suggested that seeing the build process would enrich Cody’s ownership experience. Cody made it a family affair, bringing along his son, Major Clint Cody, just back from Iraq where he was an Army Apache helicopter pilot; and his brother, Bob Cody, a Chevrolet dealer in Montpelier, VT. Annually, hundreds of Corvette customers get up close and personal with the build process, visiting the plant and museum to soak in the Corvette culture. “It was more than I expected,” Richard Cody said. “I really came here thinking I would see how the Corvette was made. Certainly the experience of watching Corvettes come down the line, the complexity as well as the orchestration of that assembly line was very, very unique. 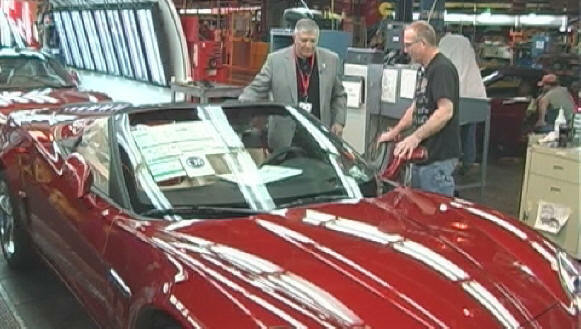 The retired general made sure the workers knew how he felt, stopping along the assembly line to greet workers and thank them personally for helping bring his car to life before picking up his car at the museum located across Interstate 65 from the plant. 2010 C6 CORVETTE PRODUCTION IS RAMPING UP! Members – The Registry has just learned from our “Friends in High Places” about the status and current production of our beloved 2010 Corvette. Across the country Corvette “In-Dealer Stock” has dwindled! This has led to our friends at Bowling Green Corvette Assembly Plant ramping up to an OVERTIME production schedule for the next several months. Our sources indicate there is an extremely low volume of Corvette Convertibles available, so restocking of this valuable “roadster” on many Dealer lots has become a priority. Base Coupe & Grand Sport Coupe – Black is the color of choice! Base Convertible & Grand Sport Convertible – Torch Red is the color of choice! The production of Corvette Coupes is running 50/50 with half of all Coupes being the Base Model and the other half are Grand Sports. Production of Corvette Convertibles is skewed to 70% being Grand Sport Convertibles and only 30% Base Convertibles. The surprise to enthusiasts is that the Grand Sport Coupe with the Z52 Package (6 speed manual with dry sump oil system) is only 22% of all Grand Sports produced thus far. We expect this number to grow as summertime arrives and track activities begin. There is no finer package for an enthusiast to enjoy than the low cost Z52 Grand Sport Coupe. 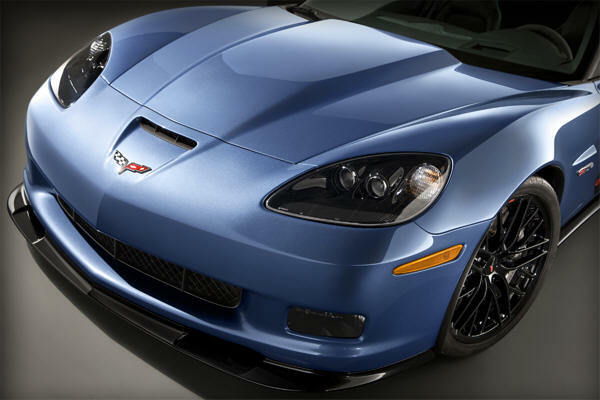 ZR1 production for 2010 is currently at 950 “Beasts” sent to dealers with a slightly less number of Z06’s on their way. But these production numbers are growing daily as emphasis is being placed on producing Corvette’s finest and having them available on your dealer’s lot for spring. For those of you attending the 12 Hours of Sebring event from March 17 – 20, 2010, the current plans are for the well publicized SEMA accessorized Corvette Grand Sport with Heritage Package to be on display for your viewing pleasure. Thank you members for all the emails you sent us regarding the excellent Car & Driver magazine article about the 2009 Lightning Lap Event at Virginia International Raceway. The ZR1 was the overall quickest with a time of 2:51.8. Don’t miss how well the 436 horse Grand Sport Z52 Coupe (at less than half the price) performed with an absolutely respectable time of 2:58.8! Check out these wonderful Car & Driver links and the video of each of these Corvettes Lightning Laps! On a separate note of importance, Chevrolet USA was the number ONE brand in total sales in January 2010, up 36% over this time last year. Ford was also up 26%, but Toyota was down 19% and Honda was down 5%. 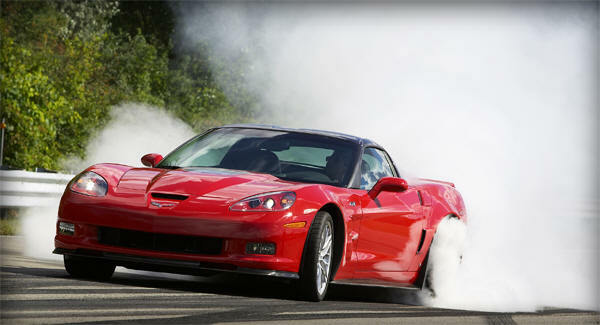 GM ZR1 Video.. Wanna Be A Race Car Driver? Corvette Racing will take on its most formidable challenge to date when it competes in the GT2 class at the 24 Hours of Le Mans in Le Mans, France, on June 12-13. The twin Compuware Corvette C6.R race cars are among the 17 entries in the GT2 class invited by the Automobile Club de l'Ouest (ACO), organizers of the classic endurance race. Corvette Racing has scored six wins in the GTS/GT1 class at Le Mans since 2001, including a victory in last year's race. The GT2 version of the Corvette C6.R, which is based on the production Corvette ZR1, made its competition debut in August 2009, competing in five American Le Mans Series events and scoring the team's first GT2 win at Mosport International Raceway. The list of invitees in the GT2 class for Le Mans includes two Corvettes C6.Rs, five Porsche 911 GT3 RSRs, two BMW M3s, a Jaguar XKRS, five Ferrari 430 GTs, an Aston Martin Vantage, and a Spyker C8. "We are pleased and honored that the new GT2 Corvette C6.R has been invited by the Automobile Club de l'Ouest to compete in the world's most prestigious sports car race," said GM Racing manager Mark Kent. "Our objective is to carry forward Corvette's legacy of success as we celebrate the 50th anniversary of Corvette's first participation at Le Mans. This year's race will certainly be a challenge because of the depth and quality of the competition in the GT2 division. The entries represent the world's most storied sports car brands and underscore the relevance and value of racing production-based cars." Corvette Racing will also compete with two cars in the full nine-race ALMS schedule in 2010, starting with the 58th Mobil 1 Twelve Hours of Sebring on March 20. "While Corvette is truly a global brand, our most important market is North America," said Corvette Racing program manager Doug Fehan. "Our participation in the American Le Mans Series is both a proving ground for our technology and a showcase to demonstrate Corvette's capabilities for our customers and fans." Corvette Racing's driver lineup has been revised with the addition of Emmanuel Collard alongside Oliver Gavin and Olivier Beretta for three long-distance races (Sebring, Le Mans, and Petit Le Mans). Antonio Garcia will return as the third driver with Johnny O'Connell and Jan Magnussen in endurance events. Canadian Ron Fellows, a charter member of Corvette Racing, will continue with the team in an ambassadorial role. Collard, 38, of Champs sur Marne, France, has scored multiple victories in the Sebring 12-hour, Daytona 24-hour, Le Mans 24-hour, and Spa 24-hour races. He is a two-time Le Mans Series champion, and drove for the Cadillac LMP team in 2000-02. "We are pleased to welcome Emmanuel back to the GM Racing family," said Fehan. "He has proven his ability at all levels of racing, and he understands the demands and discipline of endurance racing. He will be a valuable addition to our international lineup of championship-winning drivers." "I'm very happy to join Corvette Racing for the 2010 endurance classics," said Collard. "Corvette has been the most successful car make and team in GT racing for over ten years now, so I'm obviously thrilled to be a part of this team. The Corvette C5-R and C6.R have been the absolute benchmarks in GT1 racing, and the new GT2 Corvette C6.R is already heading in that same successful direction. I hope my experience with GT2s from the past seasons can help Corvette secure class wins in the three endurance races." Corvette Racing also is continuing its longstanding relationships with its sponsors and technical partners in the new season. Compuware is the team's primary sponsor for the eighth consecutive season, and Michelin, Mobil 1, XM Satellite Radio, UAW-GM, Genuine Corvette Accessories, Bose, Motorola, PRS Guitars, and BBS are continuing their support for America's premier production sports car team. "Compuware software and experts ensure that our customers' most demanding business applications perform at their best," said Compuware Chairman and CEO Peter Karmanos, Jr. "Partnering with General Motors, Chevy and the Corvette Racing team gives Compuware another dynamic opportunity to deliver peak performance and winning results. Like the Corvette Racing team, Compuware stands for uninterrupted, optimal performance – whatever the environment – and we look forward to producing another great year on the track." Corvette Racing’s next event is the season-opening Mobil 1 Twelve Hours of Sebring at Sebring International Raceway in Sebring, Fla., on March 20, 2010. The 12-hour endurance race will be televised live on SPEED. 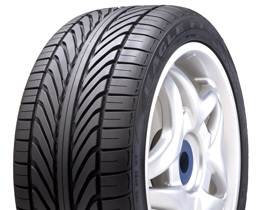 The Goodyear Tire & Rubber Company (NYSE: GT) is announcing its newest ultra-high performance tire, the Eagle F1 SuperCar G:2, and its arrival is boosted by the achievement of an original equipment position on the 2011 Chevrolet Corvette Z06. The new Eagle F1 SuperCar G:2 builds upon a three-decade relationship between Goodyear and Corvette. For Corvette owners and other enthusiasts who demand the most from their performance automobiles, the Eagle F1 SuperCar G:2 is "street-refined, but track-capable," according to Bob Toth, Goodyear's director of new products. Whether you own a Corvette or any other GM model, there's now a live person (actually, six live people) ONLINE to help you with questions. The Social Media Team is available from 9:00am - 9:00pm M-F and Saturday from 10:00am - 6:00pm (EDT). 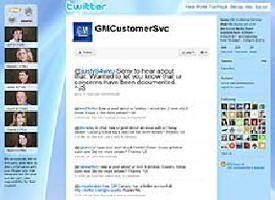 This team watches for 'tweets' about GM products, but you can also Twitter them directly. 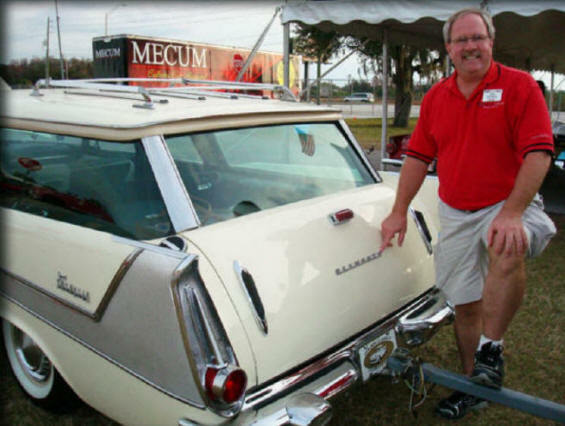 MECUM AUTO AUCTION….WHERE YOU CAN SEE AND TOUCH YOUR DREAMS! Members, I have just enjoyed a wonderful weekend at the Mecum Auto Auction here in Kissimmee, Florida. By all accounts, there were hundreds of gorgeous restored Corvettes and about anything else you have ever seen. Members, you have all told me over the past years about how many wonderful Corvettes you have owned back in the “good old days” and how much they were a part of your life during that time. I, too, bought my first new Corvette in 1978. It was a 25th Anniversary Edition Coupe. This Corvette has always meant a lot to my wife and I because we “Honeymooned” with it the following year. Like many of you, we sold it ten years later for that “extra money” to buy a home for our family. This year’s Mecum Auto Auction was televised on the Discovery Channel HD Theater. I’m sure there will be re-runs on the Discovery Channel for months to come. You don’t want to miss this just due to the sheer beauty that these Corvettes brought to the stage when they were being auctioned. I just want all our members to know that the Mecum Auto Auction is an OUTSTANDING venue for buying or selling one’s prized Corvette possession. They treat you like family! Look for a Mecum Auto Auction http://mecum.com that is coming to a town near you. Don’t miss the opportunity to visit the Corvettes of your past and see these beauties in pristine condition. Director Jake is standing by a 1959 Plymouth Suburban Wagon, just like one of TWO that his parents owned when he was six years old living in Miami, Florida. Click here, for a list of the Corvettes that were auctioned, and the one’s that sold, prices are duly noted! 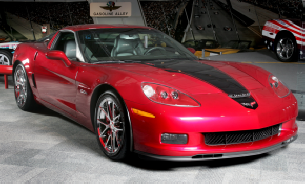 Scottsdale, Ariz. – Earthquake relief efforts in Haiti will receive all proceeds from the auction of a limited edition 2008 Chevrolet Corvette at this weekend’s 39th annual Barrett-Jackson Collector Car Auction. The proceeds, which will be donated to the American Red Cross relief fund, are in addition to a $100,000 contribution from the GM Foundation to the Red Cross. “This is a very good example of the compassion GM employees have,” said Ed Welburn, Vice President of GM Design. Welburn will call the vehicle to the stage to start the bidding process at the event. The limited edition 2008 Chevrolet Corvette was the last of 427 cars built specifically for North America and the only 2008 Z06 available in Crystal Red Metallic Tint Coat. Sporting a 7.0L V8 engine with 505 hp, the Corvette contains spider design chrome Z06 wheels, Z06 plates, a Stinger-style stripe on the front hood and fascia, chrome exterior badges and a painted Z06 spoiler and body color door handles. Inside, the Corvette contains a Dark Titanium leather-wrapped interior and special Crystal Red center trim plate. All 427 of the limited edition Corvettes were signed and numbered in the center console area by Will Cooksey, the Corvette plant manager who retired in 2006 after 15 years running the plant. The Corvette also features “427” hood badges and engine cover emblems and “427” seat and floor mat embroidery. GM TO LAY OFF 75 WORKERS AT THE BG PLANT. About 75 Bowling Green area residents will be without jobs as the General Motors Bowling Green Assembly Plant indefinitely lays off more workers. Plant officials are in the process of laying off those workers and cutting vehicle production from 11 cars per hour to eight cars per hour. It has been a tough year for the Corvette plant - a bad economy and company financial troubles have forced the plant to temporarily shut down for a total of 26 weeks this year. And even though GM emerged from bankruptcy and recently reported good sales figures, the local plant still struggles. "It’s almost positive news because there’s not as much negative news," Bowling Green plant manager Bob Parcell said. "The biggest challenge in the short term is that we (cut production at) the plant, and we’re still struggling to get the pieces of the puzzle put together." 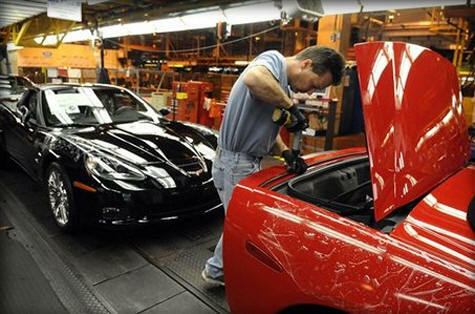 As demand for luxury vehicles, such as the Corvette, has dwindled, the plant has been forced to slow production. Last year, the plant churned out 18.5 cars per hour - that rate was cut to 15 cars an hour in October 2008 and then to 11 cars an hour in March, according to Andrea Hales, communications manager for the local plant. Now, production lines slowly move, transitioning to eight vehicles an hour. Earlier this year, the plant halted production of the Cadillac XLR. Production cuts create the need for fewer workers. At the beginning of this month, the plant employed 486 workers - a drop from the 1,100 workers it once employed. In fact, strengthening employee morale is one of Parcell’s goals and, on a positive note, no temporary shutdowns are scheduled for 2010. This year, employees, such as Patrick Klein, have watched co-workers get laid off and have temporarily been without jobs during plant shutdowns. “It’s hard for anybody to keep their chin up when they know they’re going to get laid off,” he said. Klein has worked for General Motors for 13 years and has been at the local plant for seven years - he’s also vice president of the United Auto Workers Local 2164. For Klein, it has been difficult to make plans, such as scheduling a family vacation, due to job uncertainty. And even though the company recently released better-than-expected sales figures, Corvette sales are still low, Klein said. Nick Davis has worked at General Motors for 15 years and at the local plant for five years. He remembers his first day at the Corvette plant. And while he enjoys working at the local plant, the past year has been challenging, he said. Davis said he tries to concentrate on any positive news, and, for him, there’s an upside to temporary layoffs. Even though times are rough, workers said they’re optimistic about their jobs and about the plant’s future. Davis said he’s confident in the local plant and the product it makes. John Fitzpatrick is the Chevrolet Performance Cars Marketing Manager. Along with his current duty as Camaro Marketing Manager, John will now embrace both Camaro and Corvette as well as any future performance Chevrolets as Chevrolet Performance Car Manager. Harlan Charles will continue as Product Marketing Manager for Corvette and will focus more on the final Corvette product.